Earlier this summer, we told you about some click-baity headlines from tech bloggers prematurely declaring that web design is dead. Now, many web developers have a new lament about the state of web services — the Internet is boring. Have you ever gone to a website, read all the top blog posts, viral videos, and news stories of the day, then clicked to another website… and seen exactly the same stories? That’s what being on the web in 2015 so often feels like, visiting the same page over and over. And many custom website designers are sick of it. What’s Next For Custom Website Design? When HTML5 first came on the scene, it opened up a host of new design possibilities. But by now, most of those tricks are played out, repeated ad finitum all over the world-wide web. And that’s okay! You don’t want your website to be so boring users trip over themselves on the way to the back button, but it’s important to strike a balance between a designer’s need to live out their art school fantasies, and your business’ need to convert traffic into leads. So what does that mean? Ultimately, you need to focus on the utility of your website, what it’s designed to accomplish. You want to provide visitors with a positive impression of your business, and then channel that impression into lead-generating engagement. You do that by stripping away the outdated design techniques, the bells and whistles, and make sure visitors can find what they’re looking for, and fast. Not only is Google increasingly filtering out sites that aren’t mobile-friendly, but 34% of Internet users only go online with mobile devices. So unless you want to turn off one-in-three potential customers, you need web development services for mobile platforms. You may have also noticed that more websites are using larger font sizes to better target the rising number of users on tablets and smartphones. Stale fonts are out. If your website is written in Times New Roman, or even Comic Sans, it’s time for a redesign. There’s a digital old wive’s tale that users won’t scroll down, and so too many sites shove everything above the fold. But a dynamic website naturally draws the reader’s attention down the page. Okay, so you know what NOT to do. But what custom website design trends are developers excited about? Up your image game! As broadband speeds increase, more sites are using attractive, bold images and artwork on their sites. The Internet is a visual medium, and images help capture attention. Just don’t overdo it, because 47% of users expect your site to load in just two seconds! Again, balance is key. White space is hugely important. Increasingly, you’ll see minimalist websites with lots of blank space on the screen. Don’t overcrowd the screen just to fill space; let the empty spaces draw the eye where you want it to go. Make it weird. What makes your business unique? 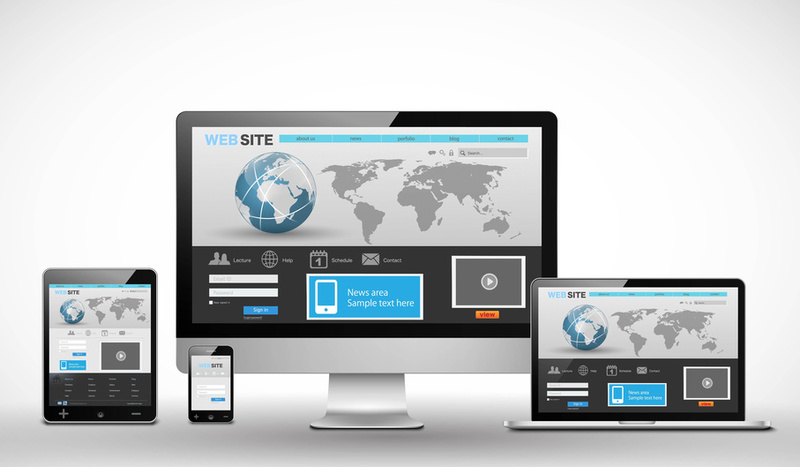 What will make your website stand out? Don’t be afraid to add personal touches to your site, little accents that will set you apart. These are just a few of the concepts web designers have been kicking around so far in 2015. Multimedia elements have also been gaining in popularity, as more websites embrace video, gifs, infographics, even hand-drawn images. What do you look for in a website? Let us know in the comments!